Taking to the skies in a hot-air balloon as the sun slowly breaks above the horizon is a pretty exciting, ‘tick-it-off-the-bucket-list’ experience many of us would love to have. But riding in a balloon over Bagan is the kind of thing that makes your trip to Myanmar truly unforgettable! Societies and people are different and not intending any offence, one might yet offend. Myanmar has only recently opened its doors to foreign travelers; after years of relative insulation from the outside world, the Burmese now have to contend with droves of foreigners with no idea how the locals work and live.  Myanmar will learn in 2019 if the temple-studded plain at Bagan has been granted World Heritage status by the United Nations Educational, Scientific and Cultural Organization, 23 years after an initial attempt to have the site added to the coveted list. It’s nearly impossible to picture Bagan without hot air balloons beautifully clouding the historic horizon. Bagan’s balloons have become an iconic symbol of the region, and have carried many travelers on soaring adventures of a lifetime. Here’s how to experience an unforgettable birds-eye view of Bagan, Myanmar. Although Myanmar has made massive leaps in development, it currently doesn’t have the infrastructure to support the influx of tourists that it is getting. So to those that are unsure about travelling here, these are reasons why not to visit Myanmar to show you why it’s worth the trip!